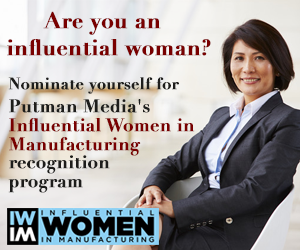 As of April 1, 2015, Women in Manufacturing (WiM), a national organization dedicated to supporting, promoting and inspiring women in manufacturing, is officially its own 501(c)6 national trade association. WiM originated in 2011 as a networking group powered by the Precision Metalforming Association (PMA). The first board meeting of the newly filed organization was held in Washington, D.C., on March 26. The group discussed several resolutions, including the establishment of executive and nominating committees, the appointment of officers, a review of the association’s financial position and approval of the FY2015 budget. WiM President Allison Grealis also provided an update on the organization’s programs and services. PMA 2010 Chair of the Board Gretchen Zierick, president of Zierick Manufacturing Corp. in Mount Kisco, NY, was elected to serve as WiM’s first chairperson.